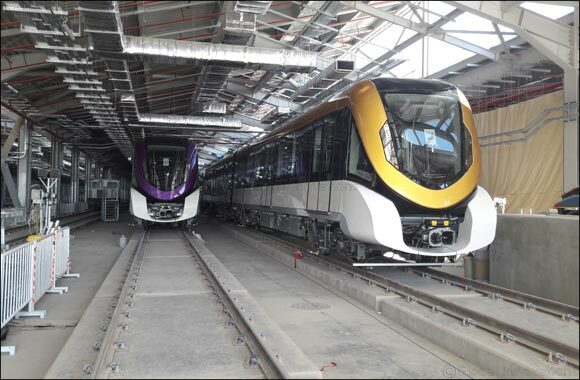 Saudi Arabia, 10 June 2018: Alstom has, for the past few weeks, been conducting initial dynamic tests for the Riyadh Metro Project at the FAST consortium Line 4 Depot Test Track in Riyadh, Kingdom of Saudi Arabia. The Riyadh Metro Project, owned by Arriyadh Development Authority (ADA), consists of 6 lines totalling 176 km and 85 metro stations. “This test run is a significant milestone for Alstom and for the project. We are proud to conduct the tests in Riy adh in order to deliver a state - of - the - art metro to our customer Arriyadh Development Authority (ADA) and the inhabitant s and the visitors of Riyadh“ , said Didier Pfleger, Senior Vice President for Middle East and Africa.